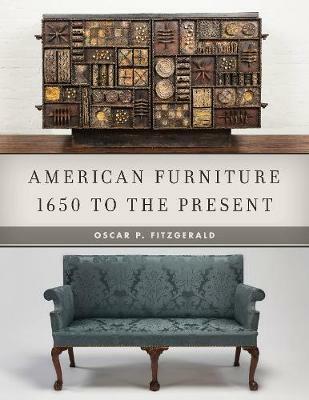 Drawing on the latest scholarship, this comprehensive, lavishly illustrated survey tells the story of the evolution of American furniture from the 17th century to the present. Not viewed in isolation, furniture is placed in its broader cultural, historic, and aesthetic context. The focus is not only on the urban masterpieces of 18th century William and Mary, Queen Anne, Chippendale, and Federal styles but also on the work of numerous rural cabinetmakers. Special chapters explore Windsor chairs, Shaker, and Pennsylvania German furniture which do not follow the mainstream style progression. Picturesque and anti-classical explain Victorian furniture including Rococo, Renaissance, and Eastlake. Mission and Arts and Crafts furniture introduce the 20th century. Another chapter identifies the eclectic revivals such as Early American that dominated the mass market throughout much of the 20th century. After World War II American designers created many of the Mid-Century Modern icons that are much sought after by collectors today. The rise of studio furniture and furniture as art which include some of the most creative and imaginative furniture produced in the 20th and 21st centuries caps the review of four centuries of American furniture. A final chapter advises on how to evaluate the authenticity of both traditional and modern furniture and how to preserve it for posterity. With over 800 photos including 24 pages of color, this fully illustrated text is the authoritative reference work.